Precious: Based on the novel ‘Push’ by Sapphire comes to Blu-ray with a 1080p AVC/MPEG-4 video presentation. The film is intentionally dark as well as intentionally gritty and the Blu-ray presents the intention accurately. Colors are quite good although far from vibrant; the whole movie has a semi-muted look which fits the tone of the film. Levels of detail vary from scene to scene, although can be very impressive and even demo material quality. The film features a very healthy layer of grain which also varies from scene to scene, with some much lighter and some much heavier filled. The movie looks about as good as I expected, I saw the film a few times theatrically and noted the distinct look of the film each time. The video presentation isn’t always very impressive but there is no denying this is one very accurate video presentation. What looks bad on Blu-ray likely looks twice as bad on DVD, so if you want to experience ‘Precious’ in the best quality available, the Blu-ray is the obvious way to go. 7.5/10. A 5.1 DTS-HD Master Audio track is included and is unfortunately subpar. I do not like the way the film was mixed at all to be honest. The character Precious narrates moments throughout the film and those moments come through as crisp and clear as any new release. Regular dialogue on the other hand feels much more muted in comparison, which is distracting. You can turn up your volume a bit and the quality certainly is there, but when narration pops up it becomes too loud. I think the narration should have been mastered a bit closer to the dialogue levels, but that’s just my opinion. The mix is not bad at all, but it certainly feels a bit more lifeless than I would have liked. Dialogue is generally easy to understand, but like I said, the audio levels distracting enough for me to complain about. The film’s music moments were loud and aggressive, but I can understand why. 7/10. Author Sapphire talks about her novel as well as her life growing up which inspired the book. She also talks about meeting Director Lee Daniels and making her book into a film. Director Lee Daniels and Author Sapphire talk about finding the perfect Precious, they also talk about the rest of the cast. Both Oprah Winfrey and Tyler Perry talk about adding their names and endorsing the film to audiences. It certainly would not have received as much recognition had it not been. With Author Sapphire and Director Lee Daniels. 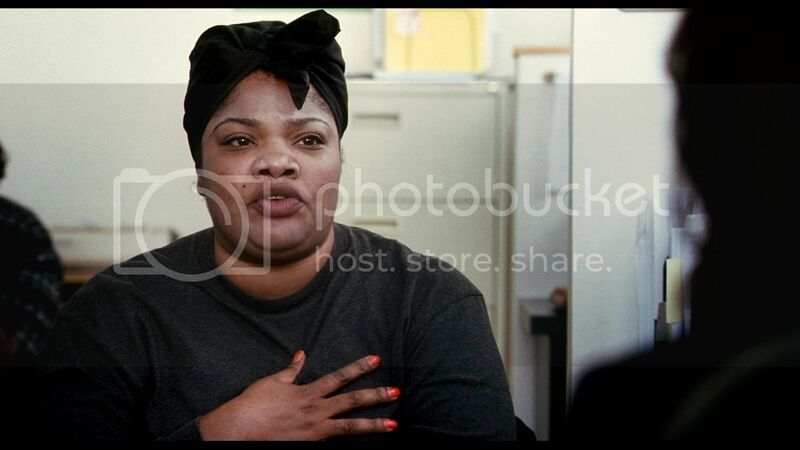 The audition footage of Gabourey Sidibe is presented and right from the beginning you realize how talented this girl is. 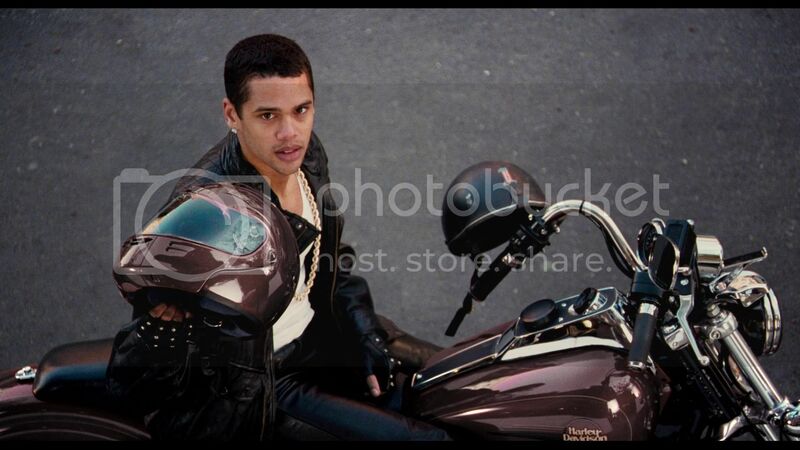 This is actually a very good deleted scene; it should have been left in the movie somewhere. Save your favorite scenes and return to them later. I definitely enjoyed the extras included on this release. Everything is informative as well as entertaining and features plenty of behind-the-scenes interviews and footage. The bonus features on this release are more than enough for a first release and I am very pleased. 8/10. Precious: Based on the novel ‘Push’ by Sapphire is the title of the film, just in case you wanted to which novel the film was based on without searching. I have never read the novel ‘Push’ by Sapphire, but I have wanted to see the film since its theatrical trailer released. Once I had the chance to see the film theatrically, I found myself a bit confused to be honest. I wasn’t sure if I liked the film, but I didn’t dislike it either. The movie left me a bit cold and left me thinking ‘what was the point?’ Eventually I went a couple more times to see the film theatrically, and my thoughts on the film changed completely. The second time seeing the film definitely helped me appreciate and enjoy the movie much more than the first time for many reasons. The movie may not very enlightening, but it is raw and real. There are real girls and boys just like Precious all over the world, some in worse living conditions and some in better living conditions. The movie is not for everyone as it is quite explicit in language and covers some very dark topics not seen in many films. The movie stars Gabourey Sidibe as Precious, a seventeen year old girl who lives with her mother. She has a daughter with down-syndrome and another on the way, her daughter is taken care of by her grandmother. It may sound like just a troubled girl, but the story is much darker than it may seem. Those children are not the product of sexual mistakes on her part, but rather years of sexual abuse by her father. 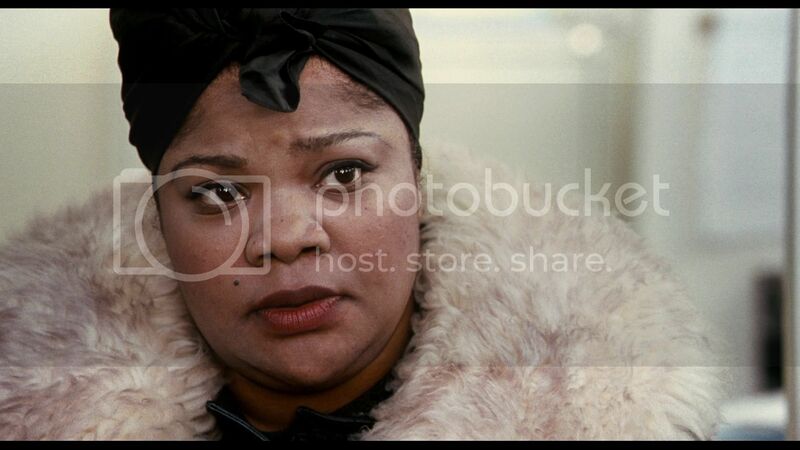 Mo’nique stars as the mother of Precious, who is abusive to her daughter in many aspects. Precious is kicked out of her regular school and has to attend a class for troubled teenagers just like her. Most of these students are just learning to read and write properly and all have their own individual issues as well. The teacher is a very good example for these girls and over time they all begin to connect with her. Precious learns a lot from her and soon enough provides a place for her to live when she has issues with her mother. The movie may not necessarily have the brightest of endings, but not every film can have a happy ending. The film is empowering in many aspects, just don’t go in expecting the uplifting movie of the year as that it is not. The film is definitively not for everyone as many may not find they can relate to the story at all. 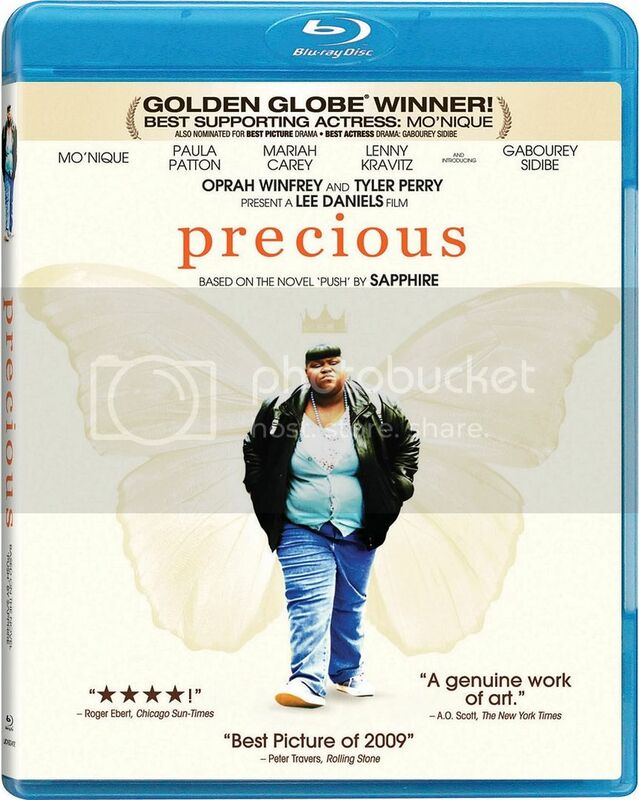 I hate to put labels on films, but I do feel those that are not fans of films from Tyler Perry (who is a supporter of this film) may not like ‘Precious’ as much and may have to rent it first. The movie does not preach like most Tyler Perry films do, but the scenarios are not something everyone can relate with and can be a far less enjoyable experience. The performances in the film really add so much to the film, I truly felt bad for Precious and the struggles which she has to overcome. The acting just did it for me, particularly from Gabourey Sidibe and Mo’nique. We see a Mo’nique that we would least expect, truly becoming her character in a performance so dark and so real that it won her an Oscar for Best Supporting Actress. I’ve seen Precious on Blu-ray more times than any other film this year, which is definitely saying something. I do understand it has flaws in the storytelling, but it is a beautiful story that is not like any I have ever seen. I definitely loved the story which is ‘Precious’ and while I can’t relate to the struggles she is going through, I have come across many in situations just like hers in one aspect or another. 9/10. Precious is a film I do recommend everyone seeing it, although certain viewers are advised to rent it first. The Blu-ray release is good, featuring a true to intention video presentation and decent audio track. The extras are great on this release and included in high-definition. Precious: Based on the novel ‘Push’ by Sapphire on Blu-ray is ‘Highly Recommended’ to fans and ‘Recommended’ to all others.